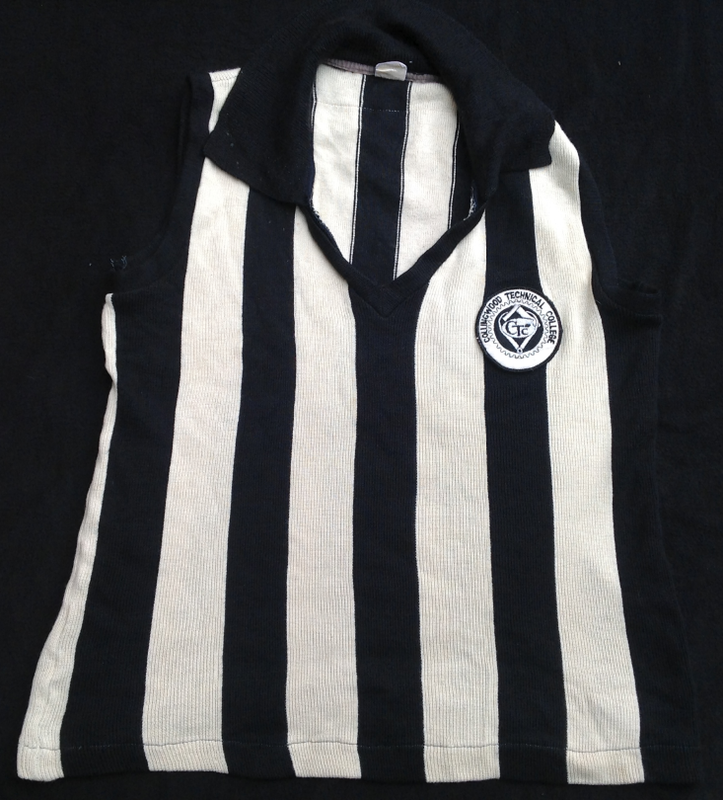 Collingwood Technical School Jumper. 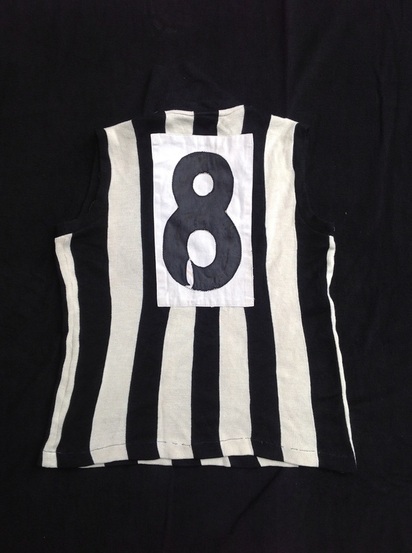 Sourced from NMIT. 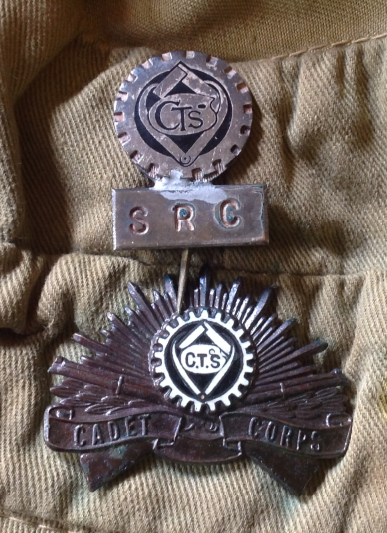 ABOVE: Senior C.T.C. 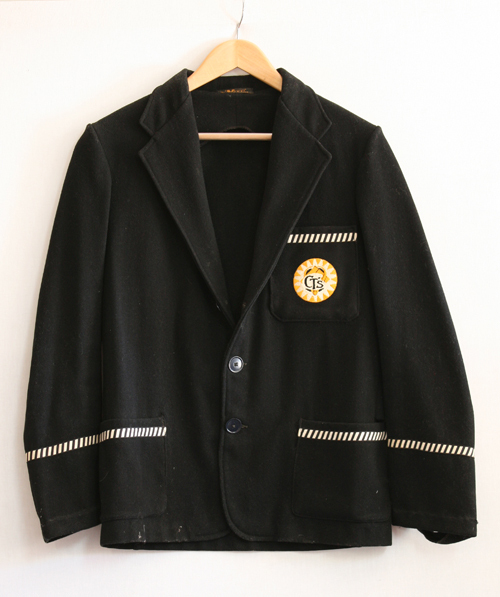 Band Blazer. Courtesy of Kevin Shea. 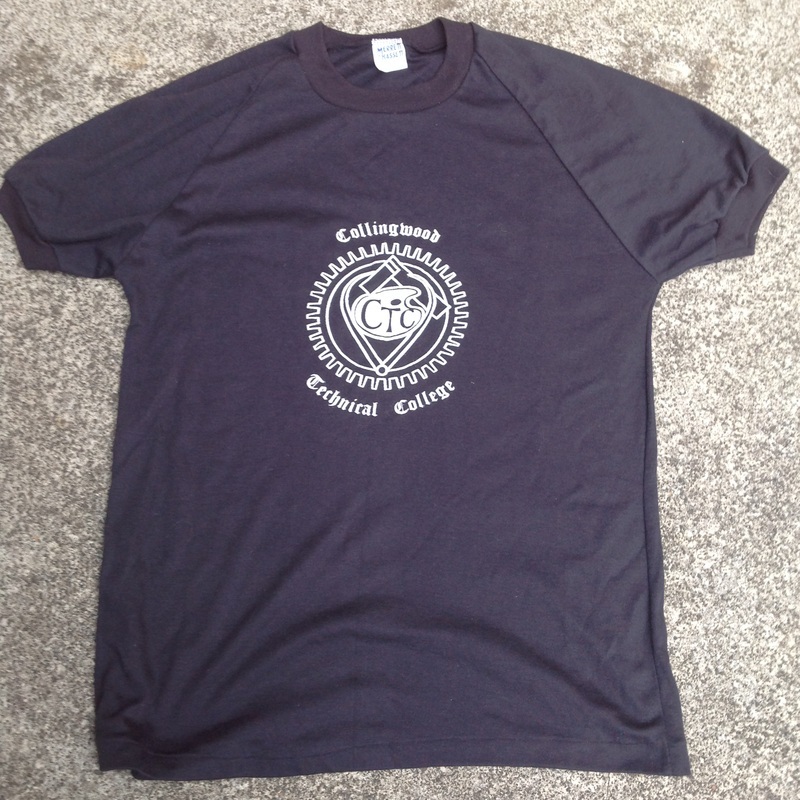 ABOVE: Collingwood Technical College T-Shirt. 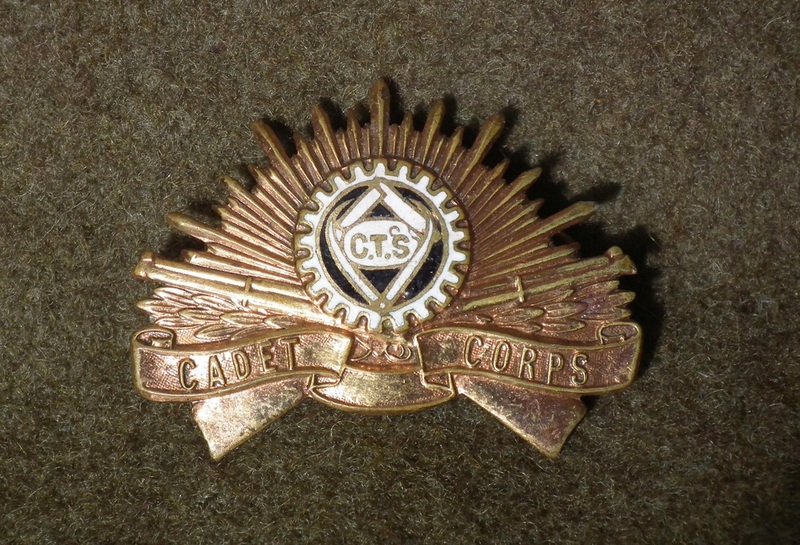 This is a CTS Cadet hat badge. 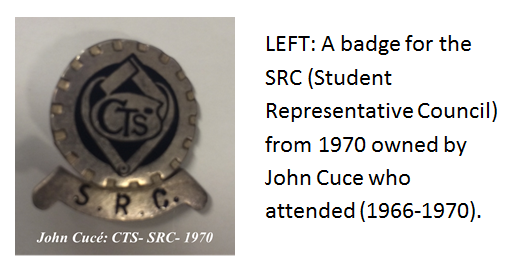 PHOTO COURTESY OF DALE SIMPSON. 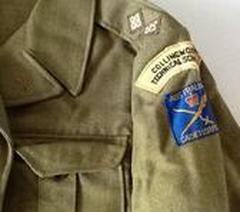 This is a CTS Shoulder Patch. 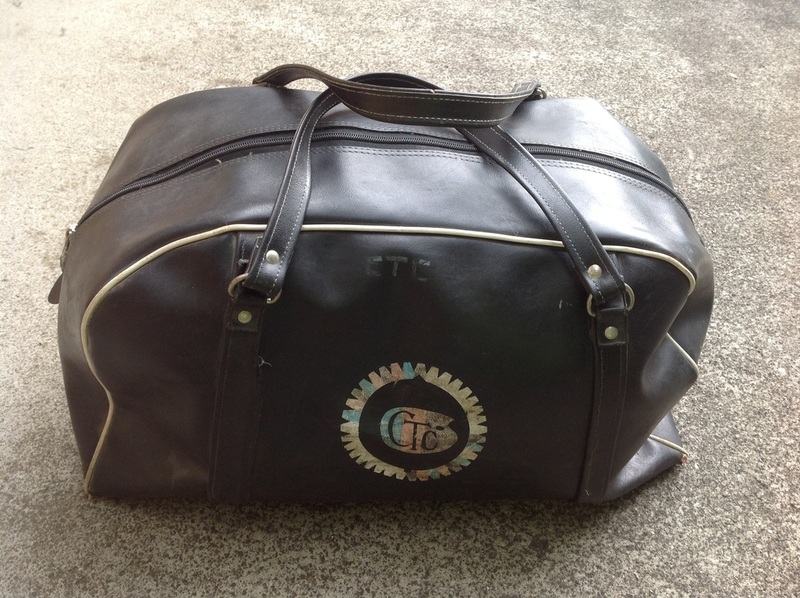 ABOVE: An original school bag. Made by Denzil Pty.Ltd. in Thomastown. 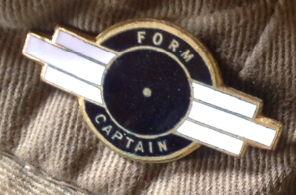 ABOVE AND BELOW: Collection of School Badges. ABOVE AND BELOW: C.T.C. 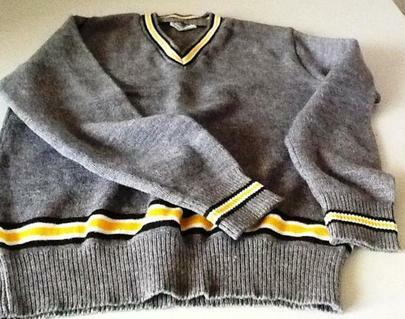 Football Jumper. Courtesy of Kevin Shea. 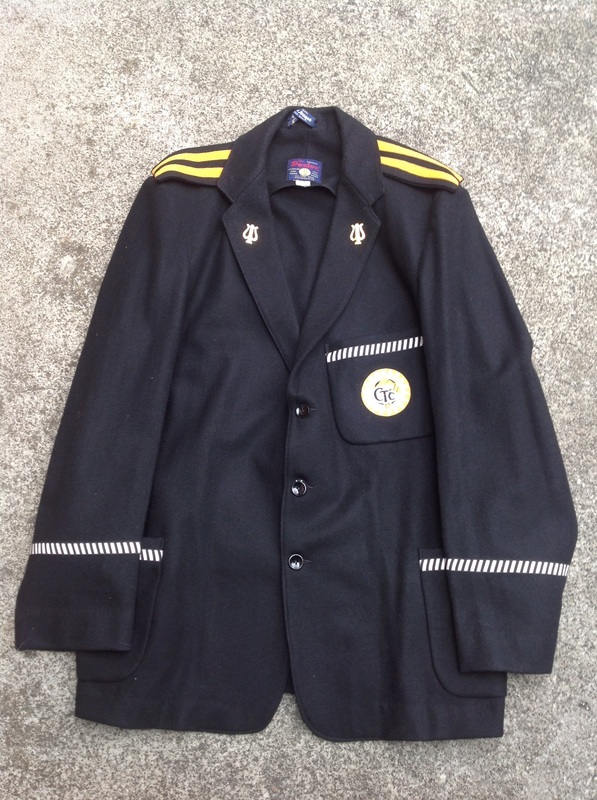 CTS Cadet Jacket with patches.